When I saw the Fairy Queen Palace stamp I had to have it! I couldn't wait to play with it and color the image! For my project I decided to pair the Palace stamp with the Fairy-tale Fantasy Figure stamp set. Start by Stamping Fairy Queen Palace with brown Archival Ink onto White card stock. Cut from of card with Wavy die. Trim and mat image on patterned paper and attach to inside of card. Stamp Fantasy Fairy onto white cardstock. Fussy cut and color image. 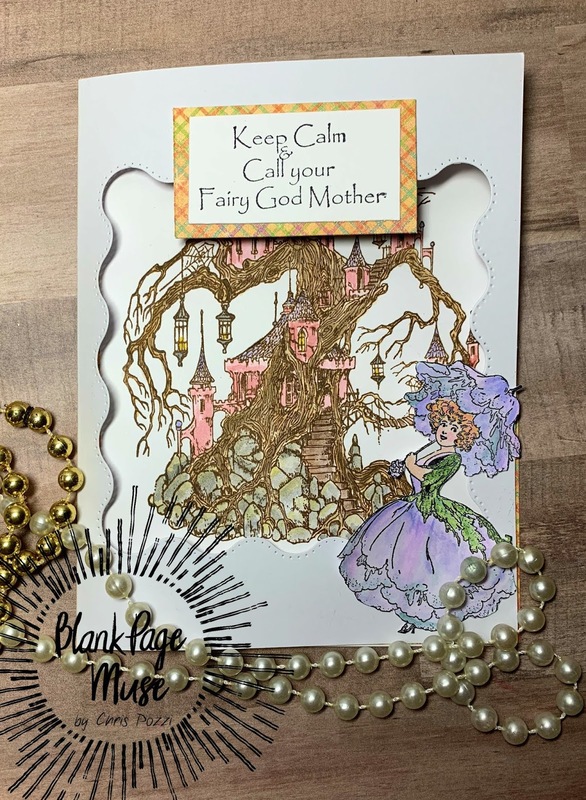 Attach fairy to front of card. Stamp Greeting from Anime Fairies 2 and mat onto patterned paper and add to card to finish.